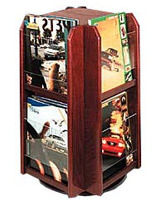 A Magazine Rack has an Oak Finish. 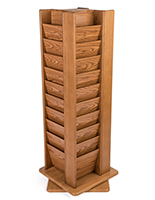 The Revolving Style is Perfect for Retail Use! 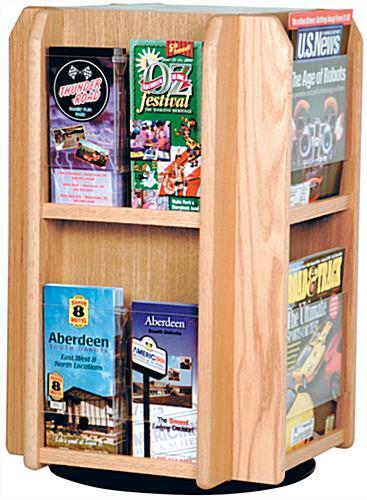 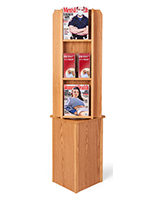 This light oak wooden magazine rack features eight pockets for magazines or sixteen pockets for brochures. 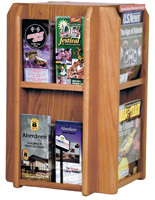 It is great as a desktop display, countertop magazine holder, magazine rack, or as a brochure lobby display. 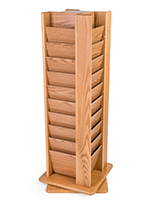 Holds 4" wide or 8-1/2" wide material and has a rotating turntable base.